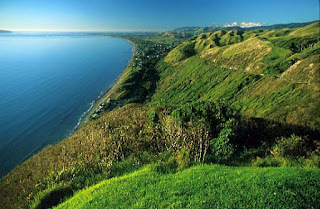 between the sea and the hills and thus successfully maintained her rustic , dignified simplicity. Right now the village is facing the tumult of the election for Mayor. If I were a resident I would certainly elect Peaches but I would not put my money on it because two-legs will always win over four-legs. However, with residents like my wacky and independent-minded sister-in-law Bride and her husband Graham you never can tell. If they believe in giving shelter to all manner of feathered birds like the peahen that transmogrified itself into a peacock, chickens (but now reduced to just one), several generations of cats, and penguins under their house - Peaches might just be the next Mayor. She'll be cheap to upkeep - just tins of dogfood and crunchy dog biscuits. Paekakariki was and still is the spouse's hearth and kampung. He grew up here from the age of 11 to 22 and all his family members are ensconced in this village. 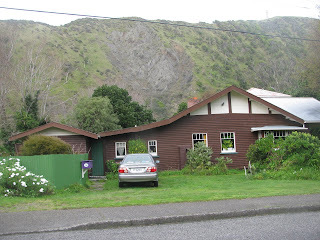 The old family home at 52 Tilley Road is still there. 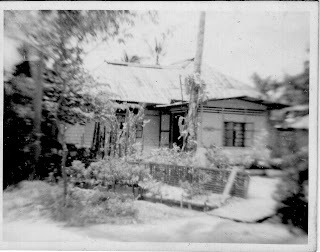 I also lived in a kampung at Pasir Panjang (Singapore, not Negri Sembilan) from the age of 5 to 22. 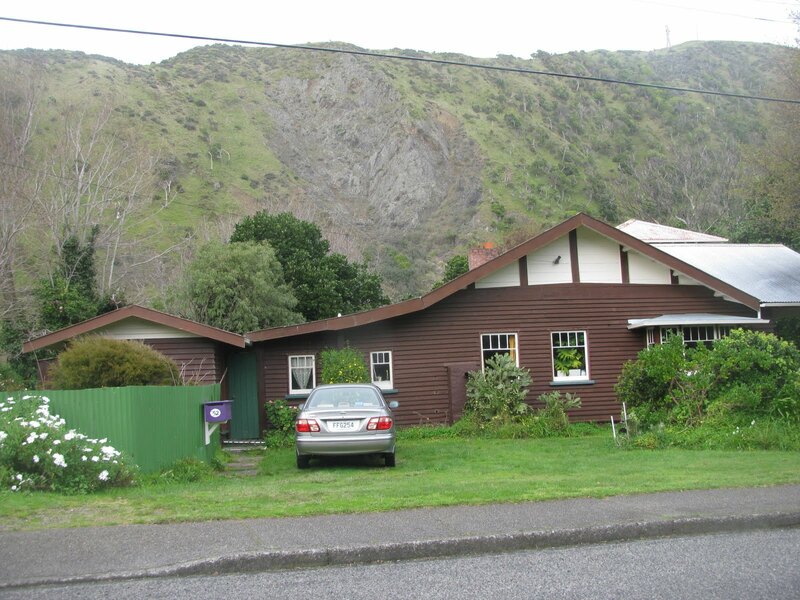 But unlike Paekakariki, it has been wiped off the face of the earth, taken over by middle-class terraced housing. 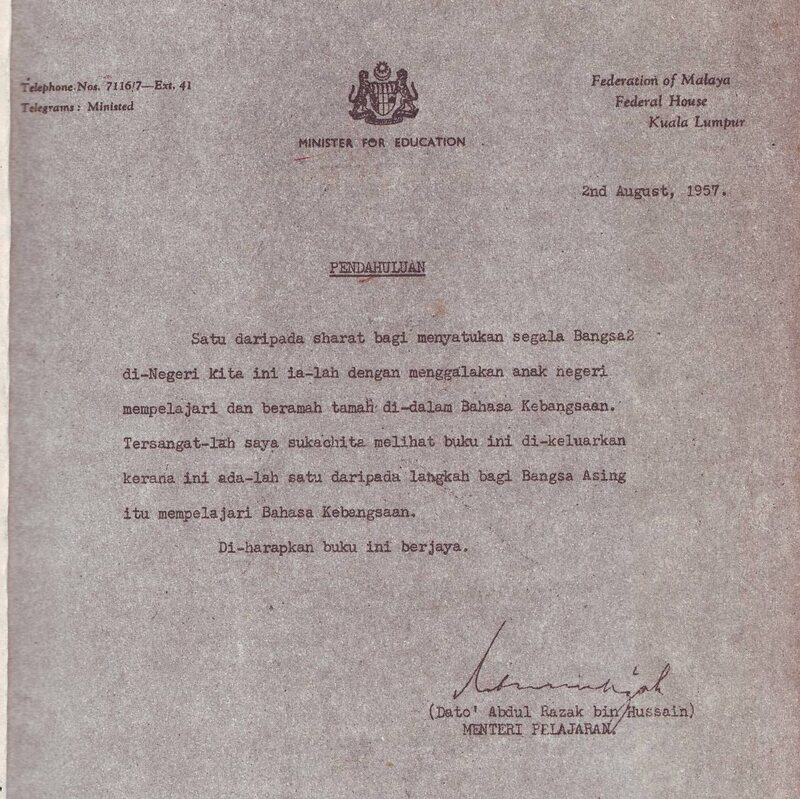 Pasir Panjang was also placed between the hills and the sea but her fate was very different from Paekakariki's. This was the house No. 691 Pasir Panjang Road which my father built at Kampung Abu Kassim, Pasir Panjang in 1950. 52 Tilley Road is still standing proud but not 691 Pasir Panjang Road. So tomorrow we shall make another hijrah from City to City or kampung to kampung? 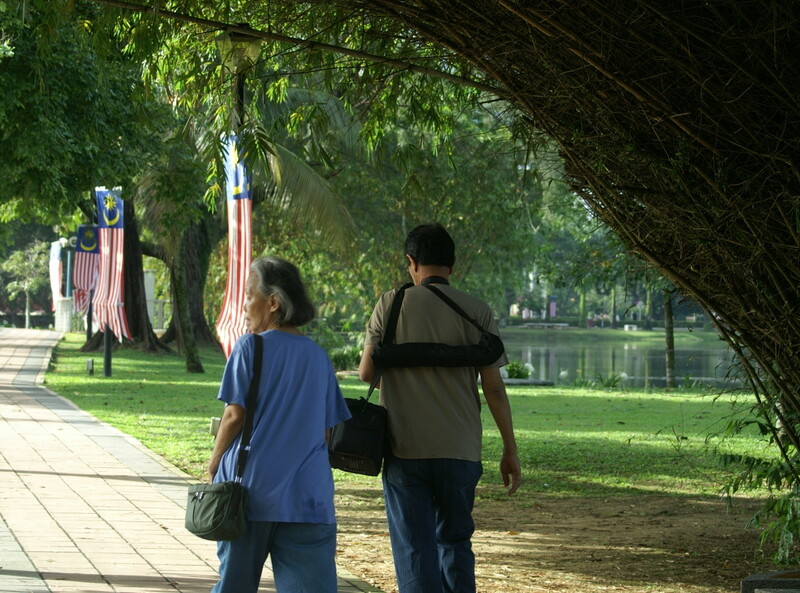 The not-so-dynamic duo will soon be observed at the tosay stall in Taman Tasik Titiwangsa on Sundays, Insyallah. Seventeen yesterdays have gone by since I wrote my last posting. And today I will break that lull with this photo-posting of yesterday, Sunday September 26. Sunday had been a grey day with drizzle and rain all day. And all day and night the wind was having a hey day. The waves were still raging mad just like the last week or so. This was what I could see from the so-called sun room. However, it hadn't been too cold to stop me from wandering about 3, Sand Track to take more pictures before we leave for Kuala Lumpur on the 30th. This is the view from the back of the house. And this is on the other side of the gate. Two or more blackbirds had been playing hide and seek in the garden but I just could not catch them on camera. I had to be contented with this series of photographs before my fingers got too cold. The back garden from the top. The side view of 3, Sand Track. From the verandah looking out to the sea. ......and the lemon on the keyboard. That's me! Good - night all. AsH is back in town. 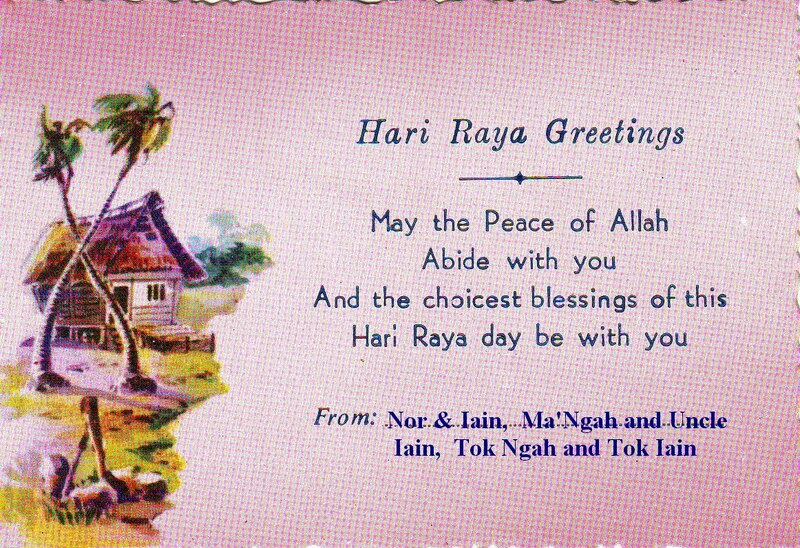 To all dear friends, young and old, near and far, Selamat Hari Raya, Maaf Zahir dan Batin from maznoor and iain. Come earthquake or hail or storm we will be with the other half of the family until 30th September with Lely aka pickled herring as chaperone Insyallah. I have not seen my sisters-in-law and their families for nearly five years. Bride and Jane many, many, many, moons ago. This is as good a time as any. G'day Kiwi rellies! It happened quite quietly, not much fanfare. Very unlike Operation Shock and Awe that these two, Genghiz Blair and Alaric Bush started in 2003. The new kid on the block - on August 31 - got his boys home in time for Thanksgiving and Christmas. Never mind that they left behind such bloodshed, pillage, carnage, chaos, a raging civil war and almost complete destruction of the infrastructure of a nation that was historically and culturally more civilized than the upstart bullies of USA. So 4,400 US invaders and over 100,000 Iraqi civilians died. 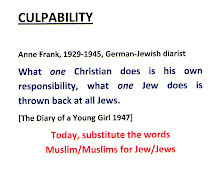 In the eyes of Israel the lives of 10 Palestinians are at par with one Israeli Jew. In the case of Iraq, one dead G.I. is worth 22-23 dead civilians. And yet they are frothing at the mouth about the construction of a Mosque and a community centre on private property in Lower Manhattan, in accordance with local laws and ordinances. This is not the end. The terrorisation of the Muslim world still goes on in Afghanistan and new ones will probably happen in Iran, Yemen or Sudan? It is but one chapter in the long-running saga of American Imperialism. Fast forward from pre - 1940s to the 1950s. 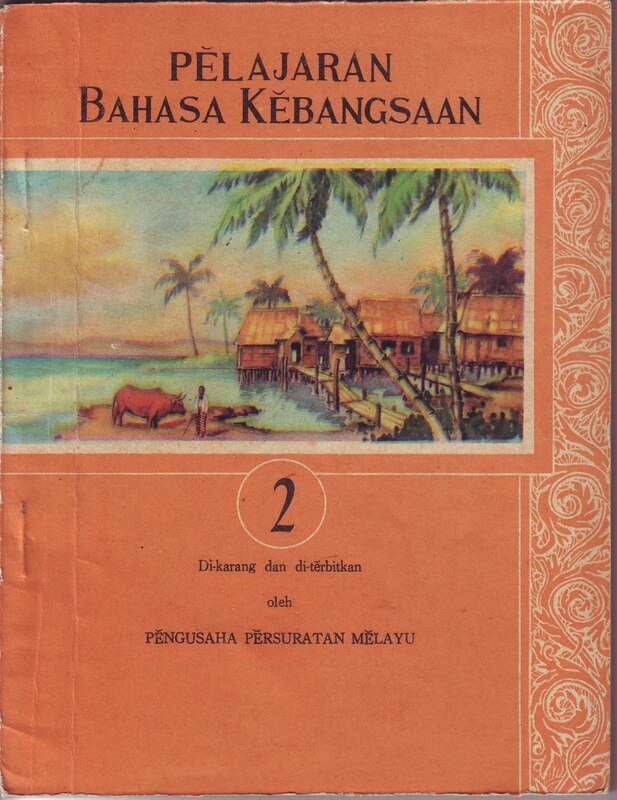 This textbook for sekolah2 rendah Tionghoa (Chinese primary schools), written in 1958, a year after independence was a sign of the seriousness attached to making Bahasa Melayu Bahasa Kebangsaan (Malay as the National Language). This is clearly articulated in the Foreword. 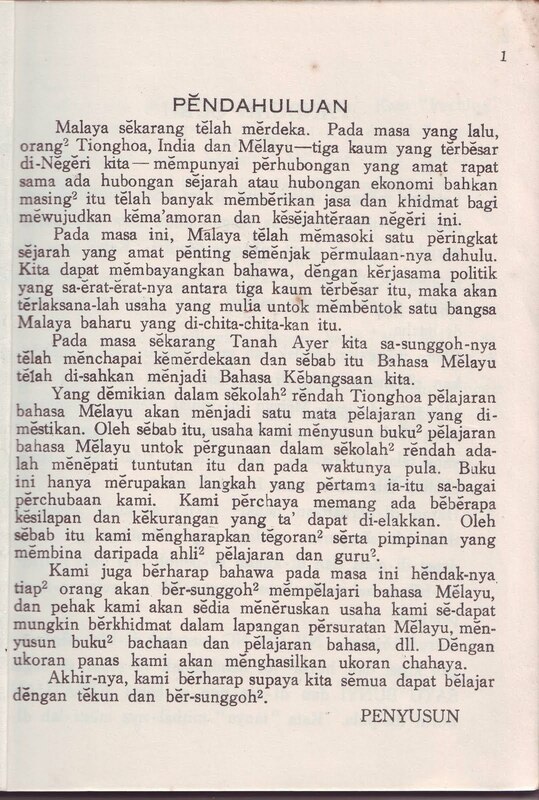 The then Minister of Education was very supportive of this effort "to unite the various races" in this fledgling nation of the Federation of Malaya. As an aficionado of old school textbooks I find this a very attractive text. The colours and the illustrations are so typical of Chinese school textbooks. 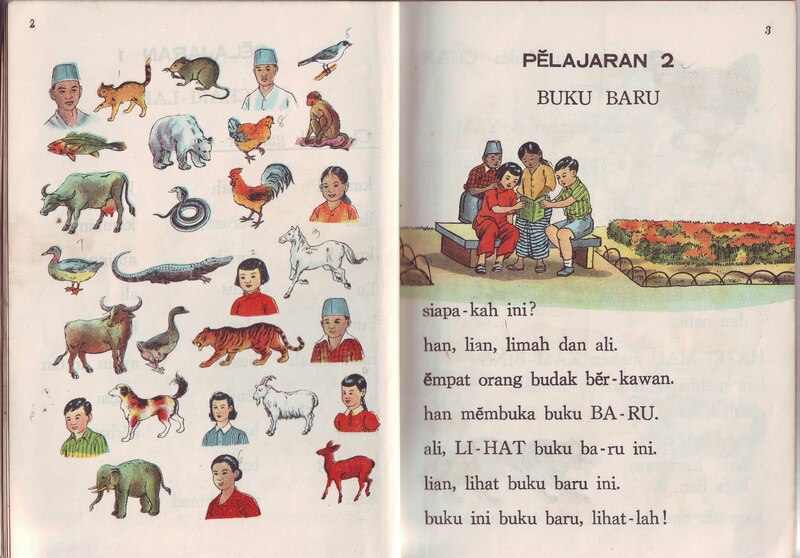 I remembered looking at my classmates' Chinese textbooks and thought they were brilliant - especially the colours. Here are an assortment of examples so you can see what I mean. Fifty three years later, I wondered what had happened to this noble aspiration? 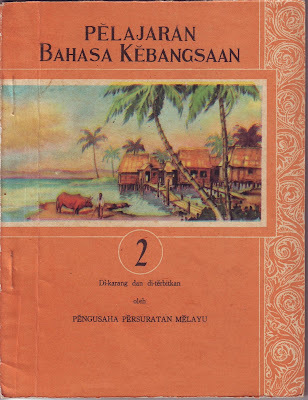 Despite the policy of having Malay as the National Language, vernacular Chinese and Tamil schools thrive in this country unlike the situation in neighbouring South East Asian countries. 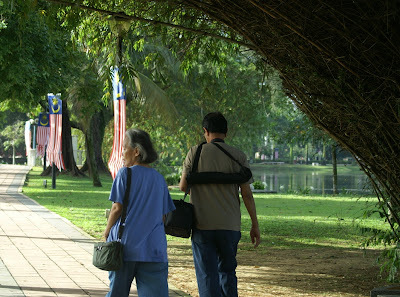 However it is difficult to mould a one - nation mentality when the likes of Hindraf and Dongjiaozong are pushing the goal posts in Malaysia for their selfish and bigoted agenda. After the infection and the antibiotics, it was followed by a rash because of an allergy to the penicillin in the antibiotics! The treatment is worse than the ailment and so I have no choice but to give in - rashly and recklessly - to more drugs, to steroids and toxic chemicals. Scritch! Scratch! The only antidote was to go fossicking in my junk room where I located these dictionaries made for the Empire's Sahibs. Today English language learning is categorised into TESL (second language), TEFL (foreign language), English for Specific Purposes (ESP), English for Academic Purposes (EAP) and various other descriptions. 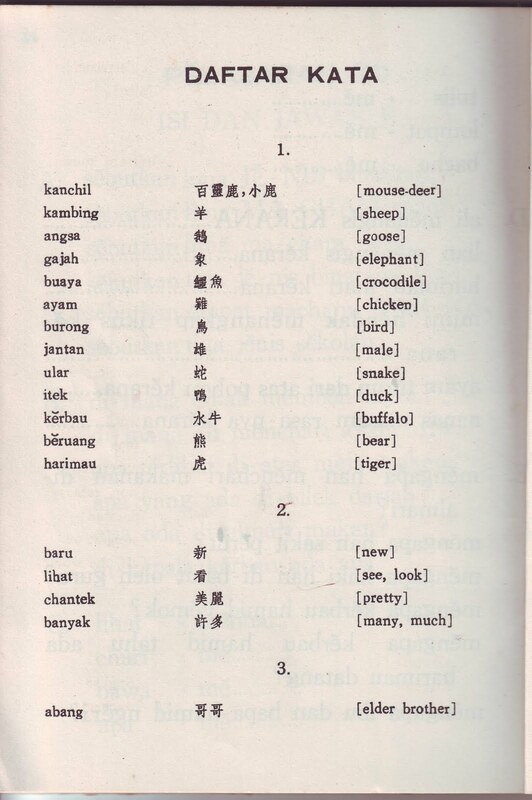 Well, during the heyday of the British Empire, the 'vernacular' languages were also studied for specific purposes. Take this dictionary (1927) 'Cooly Tamil'. It was described as "Cooly Tamil as Understood by Labourers on Tea and Rubber Estates. Here's a sample page. The Chinese language was somewhat spared this denigration because China under the Manchus, or the Kuomintang, or Mao Tse Tung and the present Government was a power to be reckoned with and the West cannot afford to patronise this Middle Kingdom. There is this book (1922) Who else would find this book useful but the Straits Settlements Police Force in their hunt for members of the Chinese Secret Societies? The 'Malay for Beginners' (1928) provided this interesting conversation. 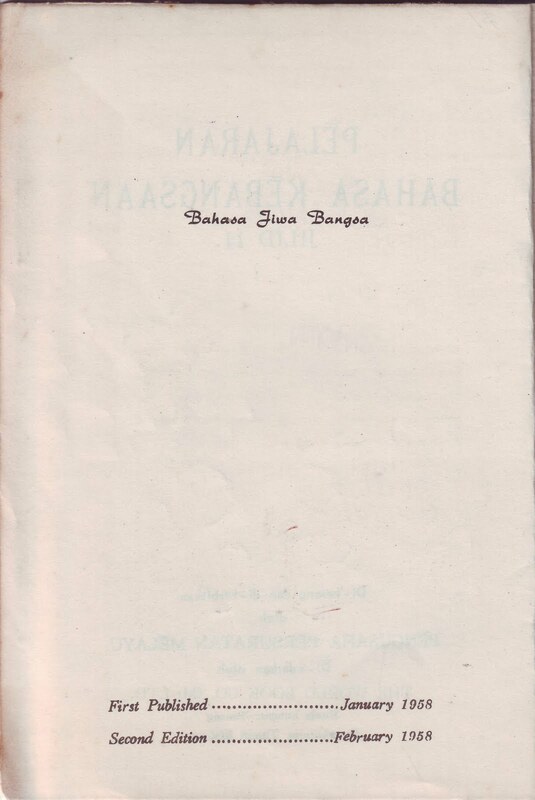 He also claimed "Bazaar Malay is a very easy language. This is a major reason for its widespread use by different races. 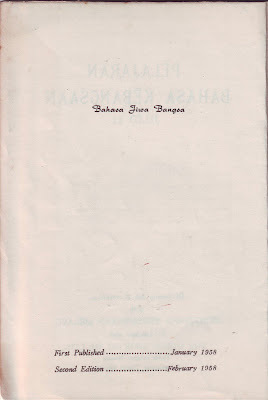 A few simple rules only are required to speak it and to be understood by any of the Malay-speaking people peoples in Malaya, Sumatra and many parts of Java and the surrounding islands. 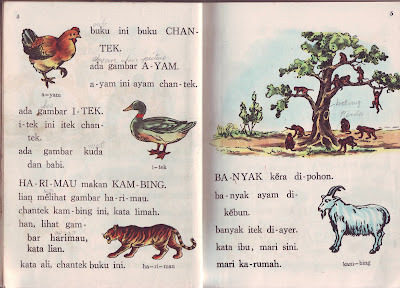 It differs from good Malay, as spoken by Malays to each other ....avoids complicated grammatical forms and uses borrowed words." 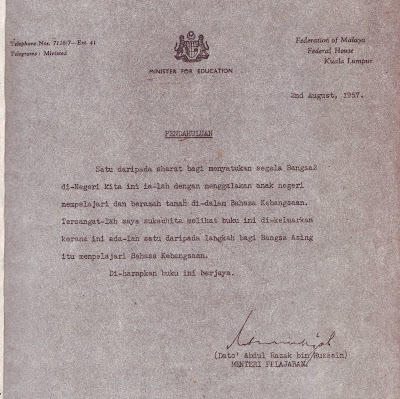 As a result 'good Malay' became mongrelized and subverted by all because it was 'easy' and served the dubious function of Malaya's 'lingua franca'. 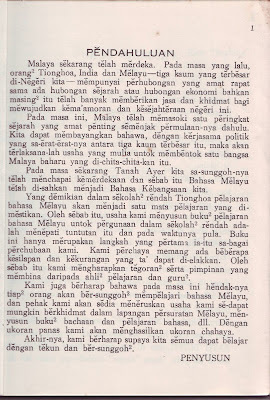 No one was more aware of this than Munshi Abdullah in 'Kesah Pelayaran Abdullah'. 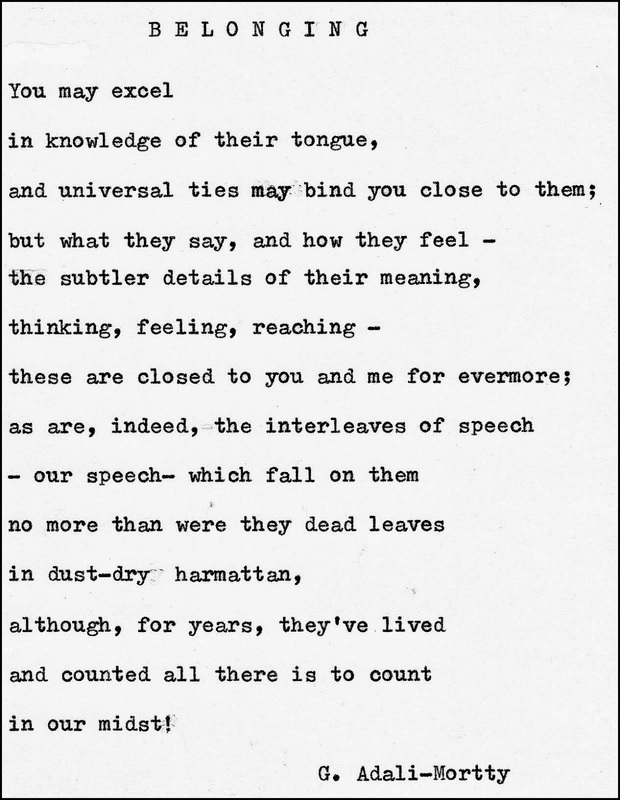 He wrote this in 1886. Okey dokey. I'm knackered. Munshi Abdullah (and Winstedt) shall have the last words and I shall have the last song.